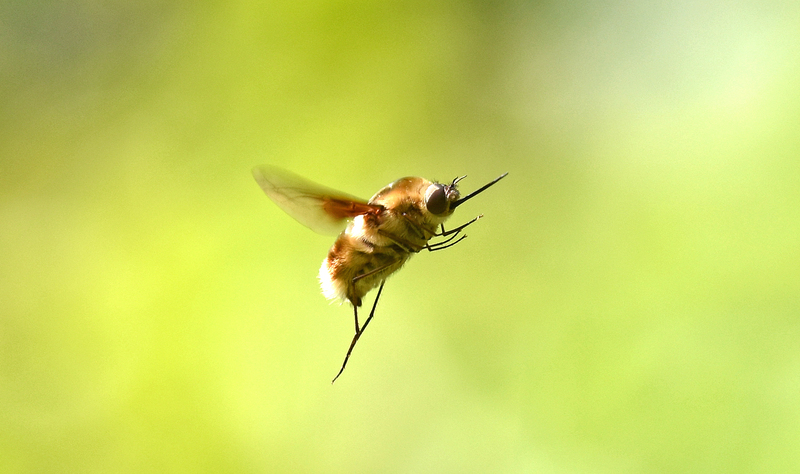 I always enjoy seeing bombyliids (bee-flies). They sound like little helicopters, hovering and buzzing about, and their furry appearance gives them a certain cuteness. They are flies pretending to be bees! Not the easiest of insects to identify from photographs though. This one looks rather like Bombylius posticus, which has a wide Palaearctic distribution, but I am not sure if it is found in northern Thailand, where I took the photograph. This species has prominent white tufted scales at both the base and apex of the abdomen. (1). 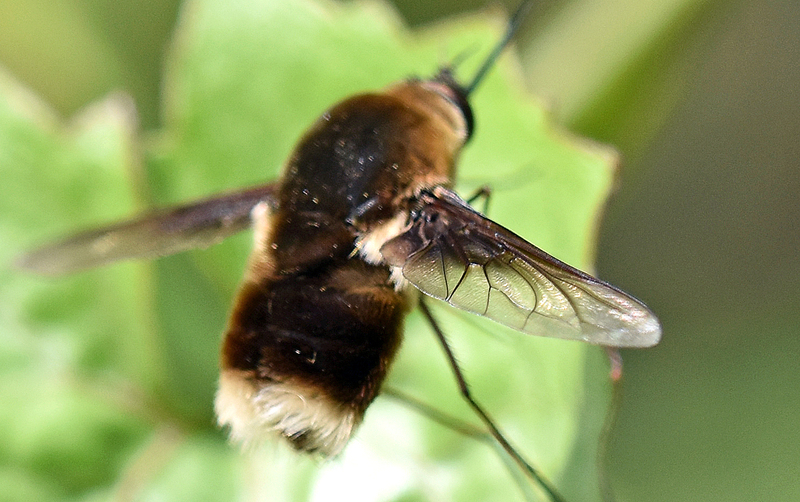 Alternatively, it might be a variant of Bombylius major, which is found in Thailand. Another reason why they might benefit from resembling bees, is that they lay their eggs in the nests of bees and wasps. Indeed, they actually flick their eggs into the nests of some solitary bees, whilst hovering above the nest opening. (See links 3 and 4 for videos of this behaviour). Flicking, or shooting eggs from a safe distance, as one blogger aptly put it! (5) The tufts at the end of the abdomen are reportedly used to collect dust prior to flicking the eggs, something that would be fascinating to watch! The bee-fly larvae are ectoparasitic, meaning that they attach onto the outside of the bee larvae in order to feed on their body fluids. 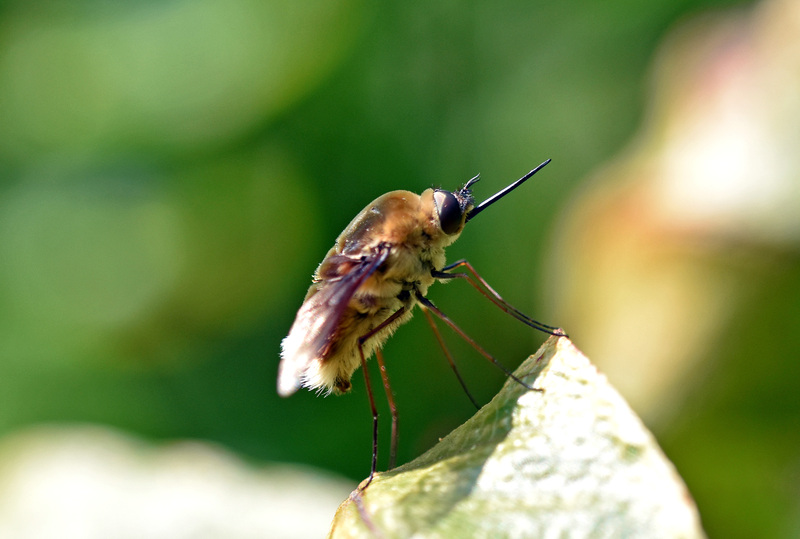 Perhaps their bee-like appearance helps the adult bee flies get close to bees nests without being attacked? Different species are also parasites, and hyper-parasites, on a wide range of insects, including butterflies, grasshoppers, wasps, other flies, beetles and cockroaches! The adults feed on pollen and nectar and are important pollinators, indeed some plants species depend upon them for their survival. 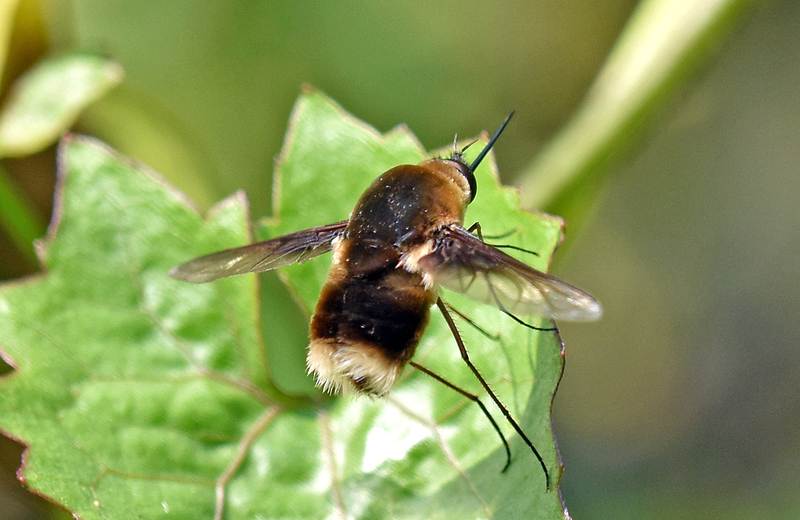 There is a nice little blog about bee-flies in a Scottish garden (6).